I’m in full Valentine’s planning mode as my daughter heads into her first year at preschool. Generally, her school has a “no-candy” policy. They ask that parents send in healthy snacks and birthday treats instead of the usual cupcakes and candy. 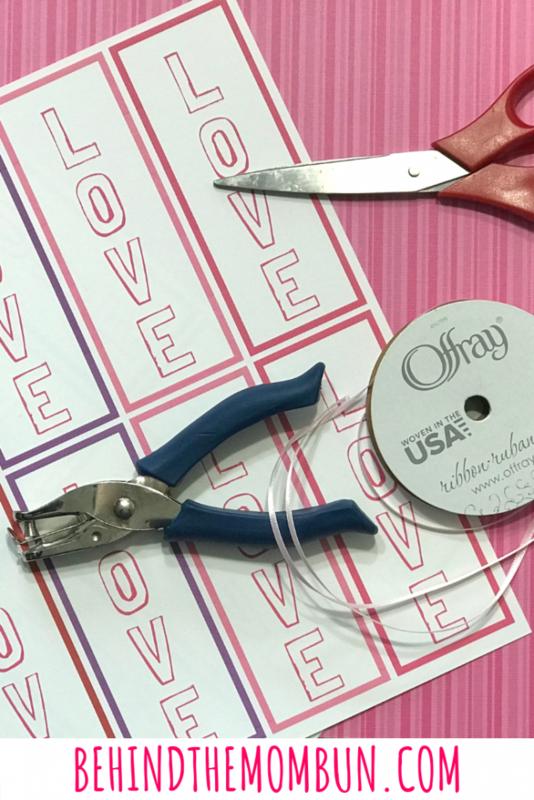 What I love about these DIY valentines for preschoolers is how simple an easy they are. One quick trip to The Dollar Tree and you have the perfect non-candy valentines. Start by downloading and printing the free “Love” bookmarks. Using your hole punch, punch a hole at the top of the bookmark. Take a long piece of string, fold it in half, loop it through the hole. Tie a knot to keep the string from slipping out. That’s it. Easy peasy. 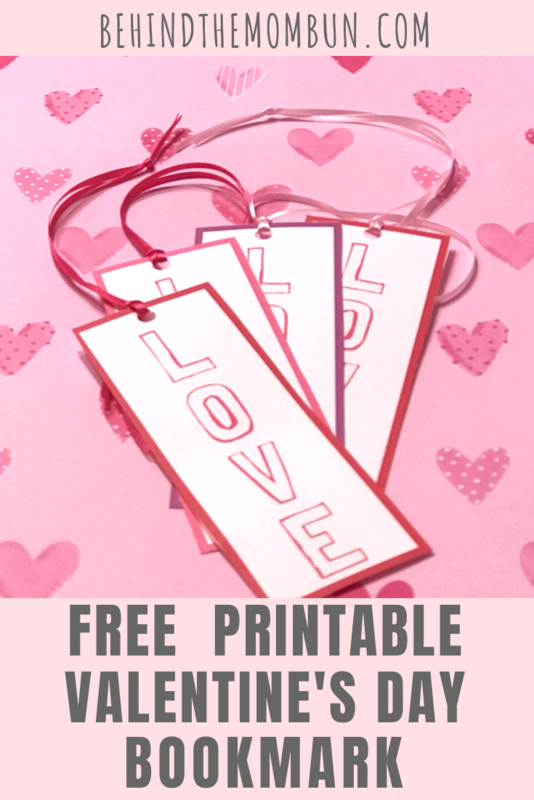 These bookmarks make a great valentines for preschoolers alone or pair it with a dollar store book for a super cool non-candy valentines. 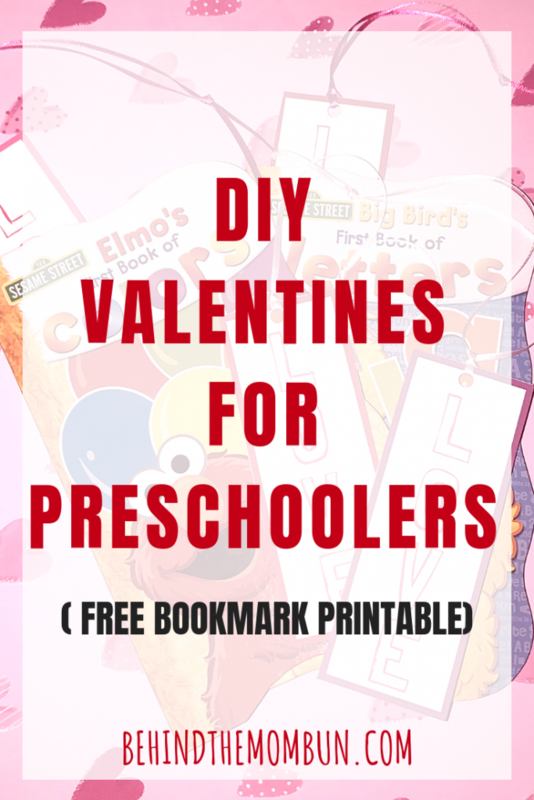 The post DIY Valentines for Preschoolers (Free Printable) appeared first on Behind the Mom Bun.